HBS has made some changes to their application for admission (photo credit: Joseph Barillari). The Harvard Business School application is changing. HBS announced that their application has been revised in order to attract a broader range of students and to better reflect the mission of the school. So what exactly has changed, you ask? There will be different stipulations for the recommendation letters and the admissions essays will be different, according to “The Harvard Crimson.” Instead of submitting three letters of recommendation, applicants will now only be asked to send in two. Additionally, applicants will have the option to answer the essay question that reads: “What else would you like us to know as we consider your candidacy?” This question will be without a word limit. This marks a change from this past year when applicants to HBS were directed to answer two essay prompts. One essay concerned something that you wish you had done better and the other concerned something that you had done well. We bet HBS applicants weren’t hard-pressed to think of things they think they did well! 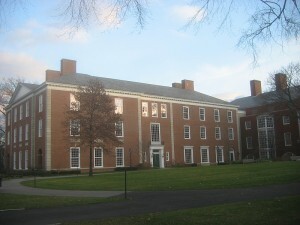 According to “The Harvard Crimson” article on the HBS application changes, “The reduction in the required number of recommendation letters stems from a desire to broaden the applicant pool and remove a potential hurdle for applicants working for ‘organizations where there is not a tried-and-true path for talented folks to leave for business school,’ [Deirdre C.] Leopold [, managing director of HBS admissions and financial aid,] wrote.” HBS’ admissions office isn’t yet sure if these changes will stick, but they’re going to test it out this year and see how it goes. Are you considering applying to Harvard Business School? How do these changes to their application impact you? Will it be a lot easier for you to secure two letters of recommendation as opposed to three? Let us know your thoughts on the subject by posting below!